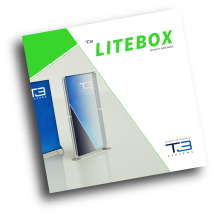 We present the T3 which is for us the ideal solution to respond quickly to all your requests. 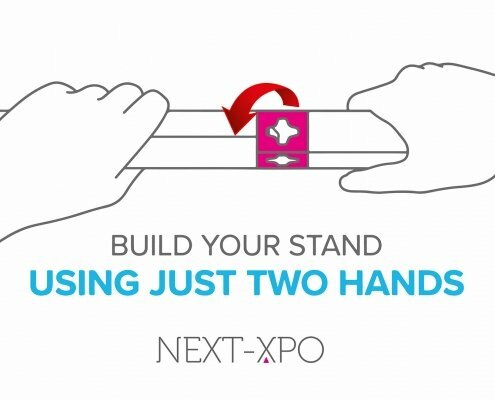 The Swiss Army Knife, T3 Frame is one of the most versatile and innovative solutions in the world of display solutions. TWIST - LOCK - CONNECT. All components require no tools or levers to enable speed of build; they are interchangeable, re-configurable and can be used time and time again. Small or large exhibition stands, event displays, retail solutions, conference sets, and much more. There are no limitations – the possibilities are endless! We have a stock over 2000 profiles, all in standard sizes for rental. Our Services are flexible, the customer can choose one or combine several. The T3 System has been designed to be adaptable to a wide variety of display environments. 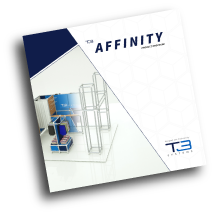 The real success behind the T3 modular display system is its versatility, and the ability to be reconfigured to meet your specific requirements. 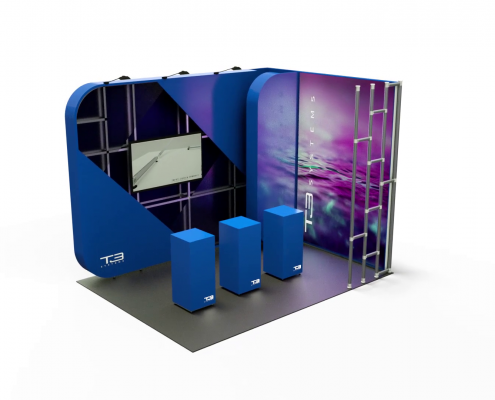 The T3 system can be used to create: small or large exhibition stands, event displays, retail solutions, conference sets, and much more. THE most universal and fastest to build system in the world. The frame is reusable and can always be adjusted and expanded as needed. The starting point is sustainability and cost savings. You save on transport time and storage space. We take care of your storage of the purchased materials, (dis) assembly and technical support: we take care of you. A lot of case studies will give you inspiration to turn your idea to reality. 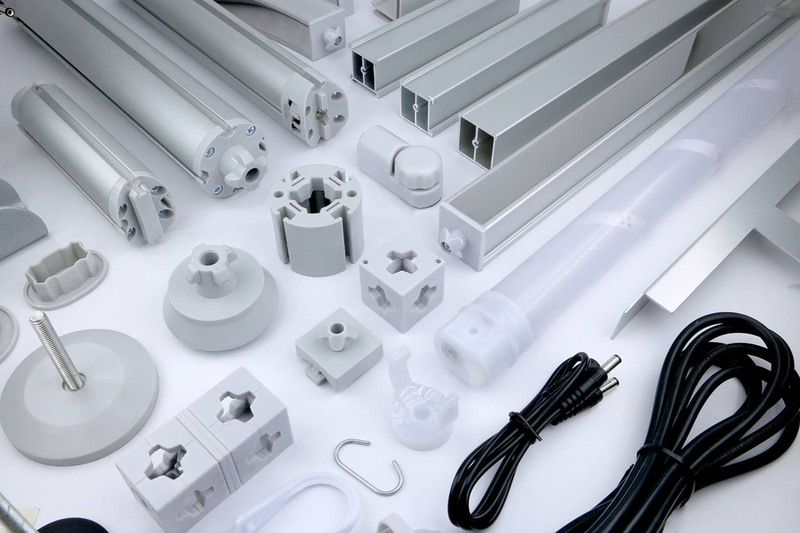 T3 system is composed of aluminium, weight and strongness. A single T3 structure can be configured and re-used to suit any new environnement. 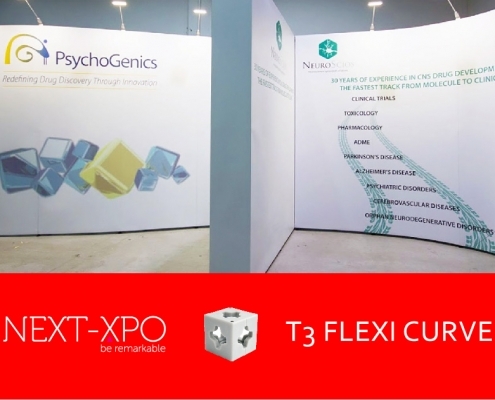 T3 Frame is developed to be one of the most versatile and innovative solutions in the creation of display solutions. No need for skilled labour. A single stand can be reconfigured and reused to suit any visibility need. 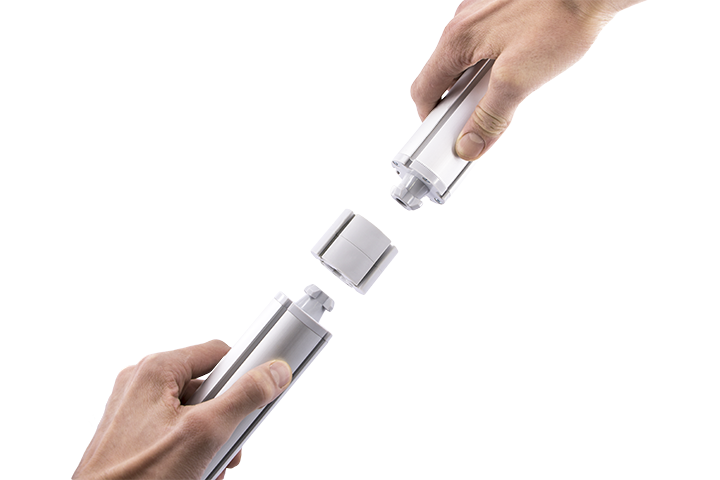 Renowned for its patented, modular twist lock assembly method. T3 Frame is developed to be one of the most versatile and innovative solutions in the creation of display solutions. 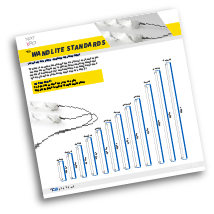 Our profiles are produced in either standard of custom sizes. 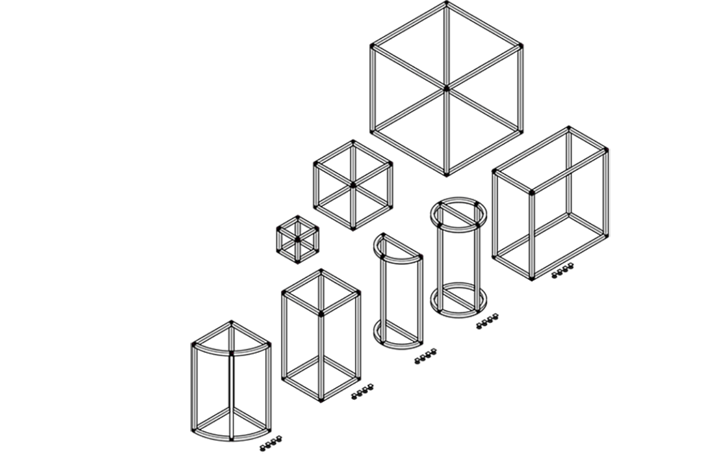 The framework system has been designed as a modular solution. This allows for displays to be reconfigured and redesigned efficiently. Easily develop initial stands into more elaborate designs. 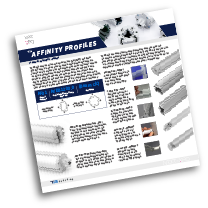 By simply adding profiles and components structures can be completely reconfigured to reuse at different events and with different purposes. 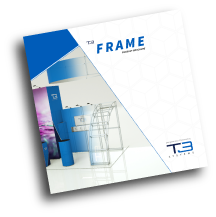 T3 Frame has multiple lighting, media and graphic accessories available. Allowing you to finish your structure with a broad range of eye catching and dynamic features. 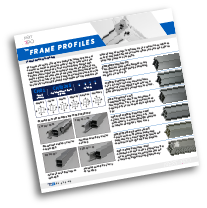 A MODULAR FRAMING SYSTEM WITH AN EXTENSIVE RANGE OF ACCESSORIES. It requires no tools during any stage of assembly and dismantling of displays. Due to the modular design and tool free assembly, structures take a fraction of the time to build. Saving on labour costs. Developed with a large range of retro-fit accessories including monitor supports, shelving, literature racks and more. 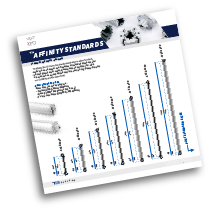 These can all be installed on an adhoc basis to any T3 Affinity solution. 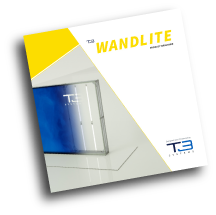 Finding a feather weight, durable and portable tube light that emits a bright, white light has always been difficult in the exhibition and display industry, this is what has brought about the invention of the T3 Wandlite. 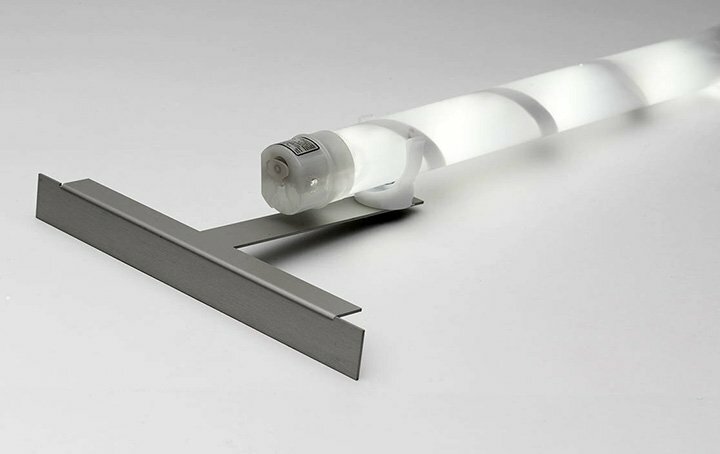 Its lightweight, robust design and construction makes it a virtually unbreakable LED tube light. 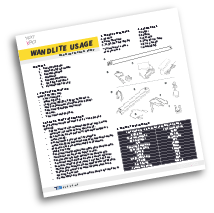 The unique design of the T3 Wandlite allows it to be a waterproof and dust-proof light. Independently tested to an Ip65 rating. 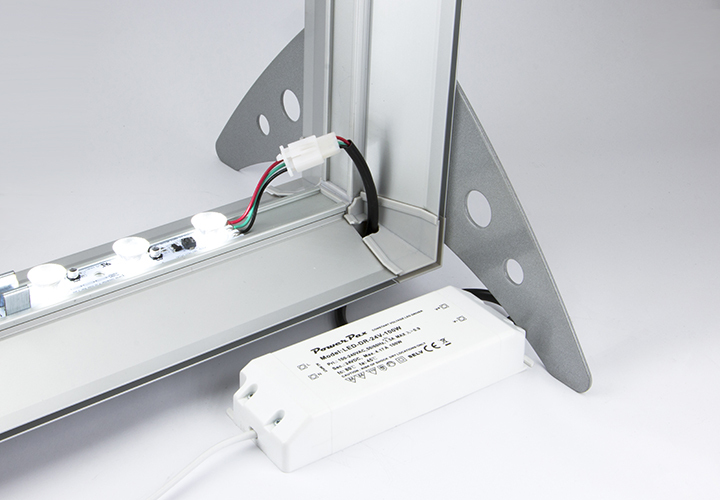 It can be fitted to use multiple powering sources from off grid and on grid supplies. Sources include solar panels, batteries and cigarette car sockets. 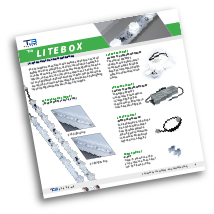 Its low power usage and 70,00 hour life span make the T3 Wandlite one of the most eco-friendly tube lights available. In the exhibition, retail and display industry, speed and accuracy are highly important. 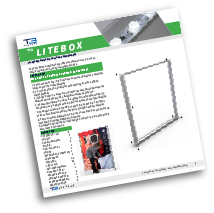 The T3 Litebox range is simple to assemble, modular in design and lightweight. They can be efficiently transported in specifically designed bags and built by one person. Create vibrant displays that drive foot fall, engage brand awareness and generate conversations with your target audience. 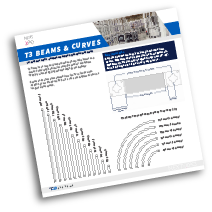 A DIVERSE RANGE OF STRUCTURES FROM JUST A FEW SOLUTIONS. The lightweight, low cost structures allow for the designers to have the utmost versatility and flexibility when it comes to the displays and messages they are looking to portray. 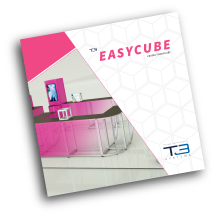 T3EasyCube is a completely modular solution. Being the key to its versatility when creating all its variations of structures. Its lightweight, robust design and high quality materials make it a strong and long lasting solution. 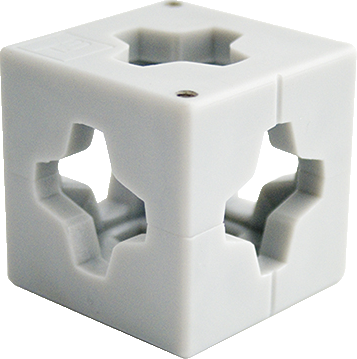 The patented and famous twist lock assembly methods means that no tools or levers are required to assemble any T3EasyCube solutions. Modular design for easy storage and transportation. 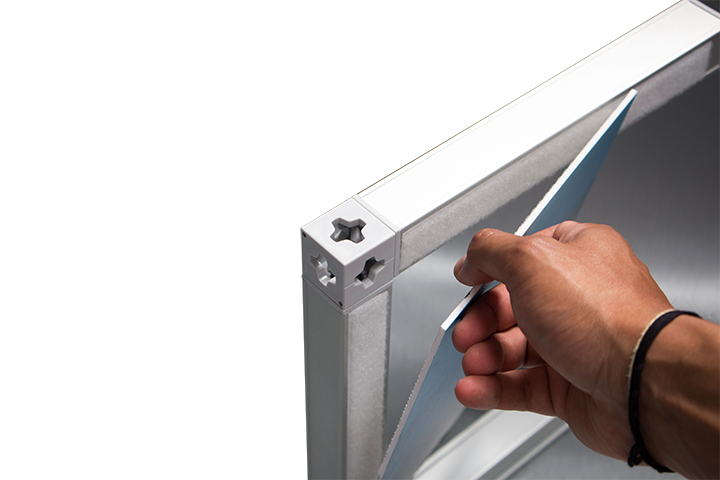 Its patented design allows for fast, tool free assembly of all structures. Saving on expensive labour costs.